Step #1: Keep everything on the “up and up”. Needless to say, as a business owner, integrity is a big thing. Meaning that if you use your business entity to commit serious misconduct or fraud, a court could likely “pierce the veil” and hold you personally liable for business claims. So just make sure that when it comes to actions taken on behalf of your business, you’re “doing the right thing”, and are not engaging in any fraudulent or unscrupulous behavior. Step #2: Use the name of the entity on contracts and business communication. This is a big one and is an area where I see a lot of business owners fall down. As a general rule, whenever you are signing contracts or important documents, do NOT do so with your personal name. 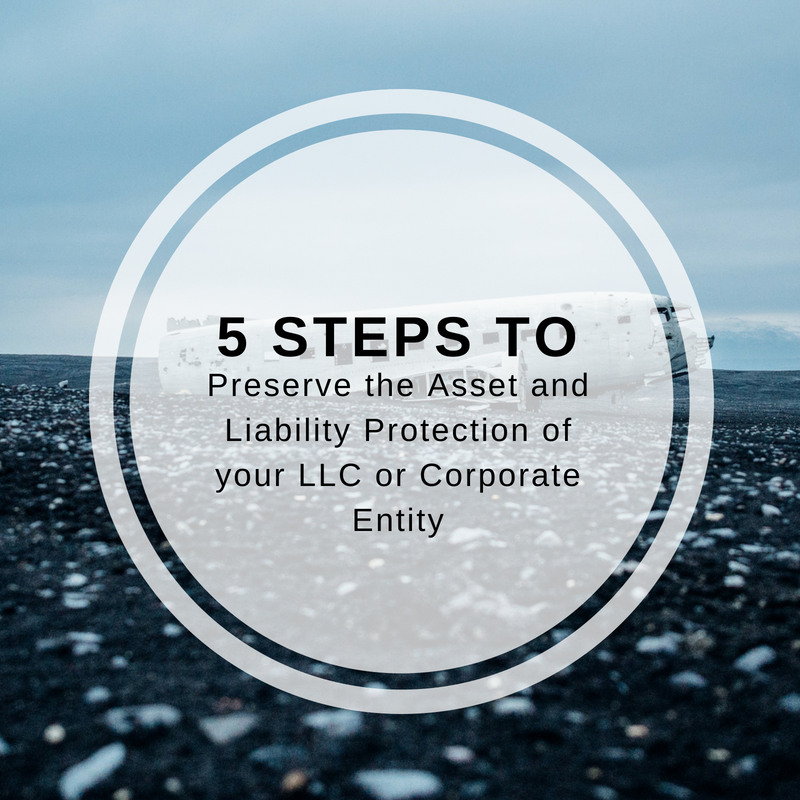 Instead, use the name of your LLC or Corporation in all business dealings, so it is clear to third parties that they are dealing with an entity and not you personally. Step #3: Keep business and personal finances separate. Again, another area where I see people make a mistake. Under no circumstances should business and personal finances overlap. Instead you’ll want to maintain separate bank accounts and records, that way if there every is a problem, you can’t be sued for both your business AND personal assets. Step #4: Stay on track and follow the rules. While the rules for an LLC are less stringent than those for a corporation, you still need an operating agreement, as well as a process for tracking and documenting your business decisions. For those who are considering a Corporate entity, keep in mind that those require you to write company bylaws, hold annual meetings (along with documenting the minutes of those meetings), and write up corporate resolutions. Now don’t panic…that’s something we do all the time over at the Law Office, so if you want some assistance/guidance, give us a call 844 MY ACCESS or email support@reiblaw.com for a free 30 minute consultation.